On December 14th, 2001, an Annular Solar Eclipse graced the Pacific Rim. The best place to see it would have been Costa Rica, but for various reasons I was unable to travel there to view the eclipse. As my consolation prize, I took the day off from work to observe the eclipse from home, in the comfort of my observatory, which is located in San Diego, California USA. 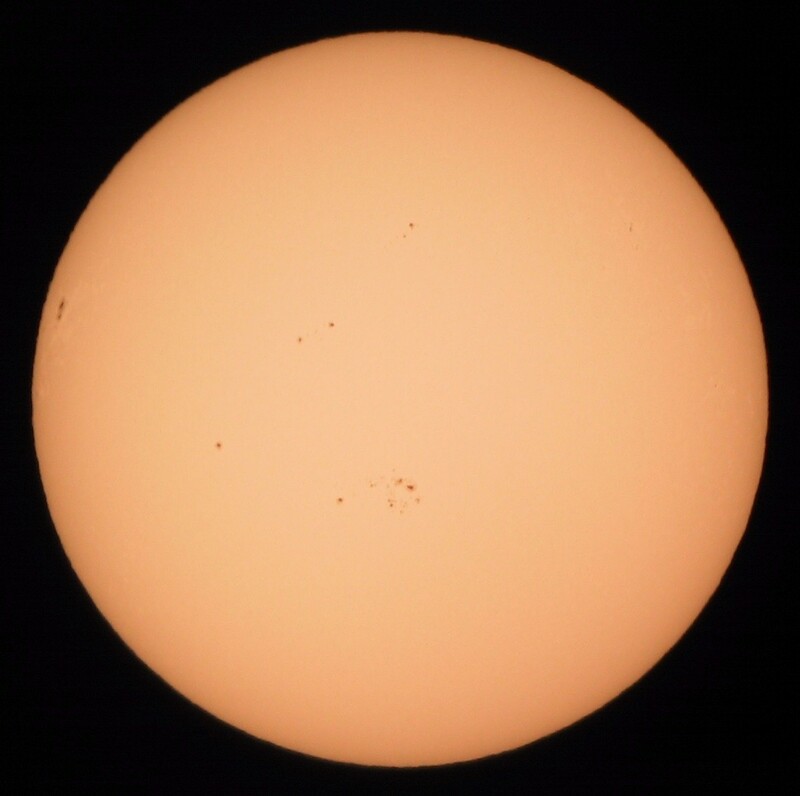 The eclipse here was 22% magnitude, which is pretty poor but still worth a look. I was working on a backup plan, however, because the Canadian Meteorological Bureau's clouds forecast map was predicting thick cloud cover at the time of the eclipse (see also the Clear Sky Clock, and the astronomical transparency forecast map, which are created specifically for astronomers). Below you can see a map for the time of maximum eclipse here, with a pointer that I added to show my location. White is Bad. Blue is Good. I was under the White. It was coming up on decision time: stay at home or start driving east to get out from under the clouds. I knew from satellite imagery and the forecast map above that I could find a hole in the clouds to the east. I couldn't decide what to do, but simultaneously two things happened that decided for me. 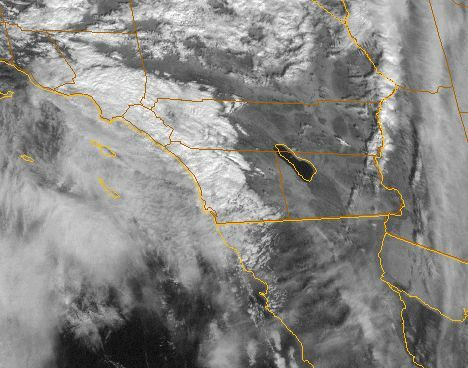 First, I downloaded the 1930UTC weather satellite photo (below), which showed that the breaks between the clouds had closed in, creating solid cloud cover. Second, it started to rain. I can take a hint! I jumped in my car and started driving through the mountains to the east. As I drove up through Julian the rain began to pour and the winds really picked up. 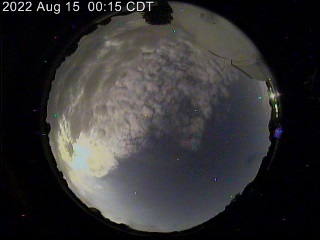 The eclipse had started, and so the goal now was to find a hole in the clouds before maximum eclipse. After I got over the mountains the clouds began to break up, just as predicted. Hooray! I had a chance! The further I drove, the more the clouds opened up. As I emerged into sunlight, I was treated to a beautiful, perfect, textbook rainbow, projected from a partially eclipsed Sun! How cool is that?! 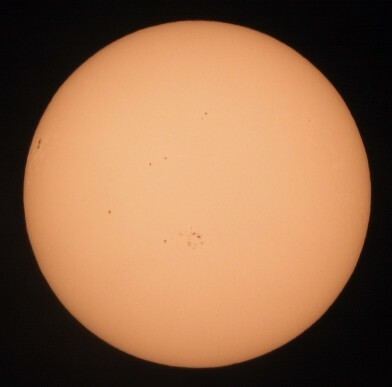 I stopped and took a quick peek at the Sun through my binoculars and my eclipse glasses. I could see the eclipse! It was still raining lightly however, so I had to get back in the car and drive on to find a place where I could set up my telescope, because optics and digital cameras don't like rain. I entered the Anza Borrego Desert State Park, a really beautiful area. With just minutes to spare before maximum eclipse, I found a turnout and parked, and whipped out my scope. The winds were fierce, gusting to perhaps 40-45mph. I had to hold my telescope down so that it didn't get blown over. I quickly snapped a series of exposures and was rewarded with a good shot of the eclipse. Success! The winds and clouds created some truly awful seeing conditions, so the pictures I got were pretty blurry. 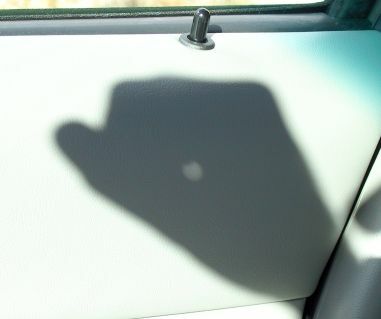 After taking some video and a few of the typical eclipse pictures (like projecting a crescent on the inside of my car door, below) I drove back home satisfied. 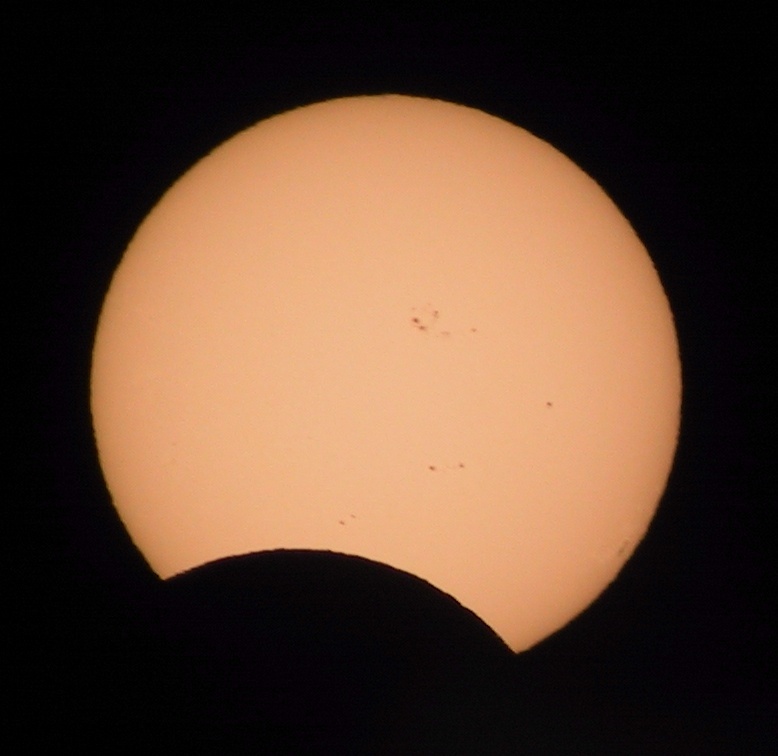 This was my sixth solar eclipse, and I have now seen three solars consecutively. Next up: Puerto Vallarta in June 2002. December 14, 2001 annular: Saw 22% partial phase from San Diego, CA. ...a total of 1 total, 1 annular, and 4 partial eclipses. 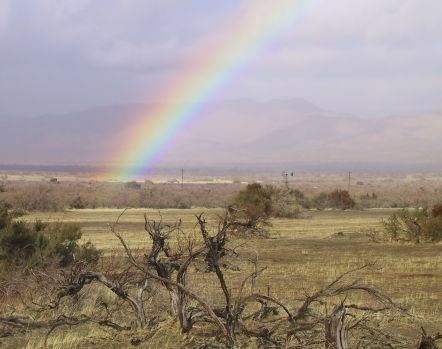 Click here for my report of the 2001 Total Solar Eclipse as seen from Landless Corner, Zambia.